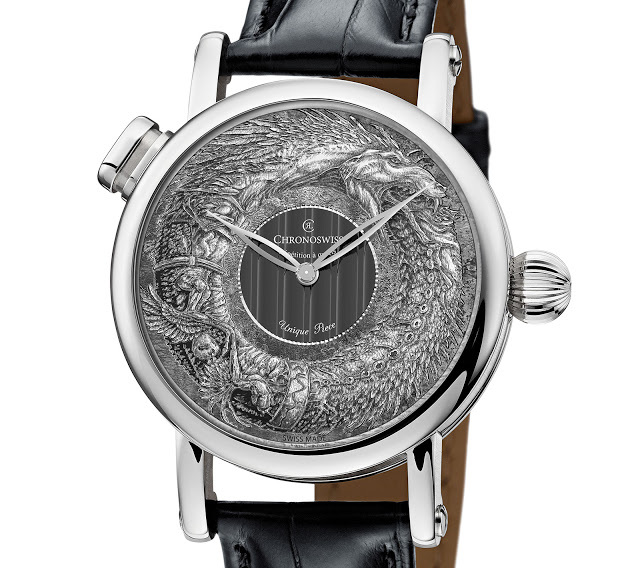 Decorated with a hand engraved serpent devouring its own tail, the Chronoswiss Ouroboros is unique quarter repeater made for Only Watch 2015. Chronoswiss’ contribution to charity auction Only Watch is a one of a kind version of its signature quarter repeater. Featuring a dial made of solid white gold, the watch gets its name from the dial decoration depicting the ouroboros, an ancient symbol of rebirth with a snake eating its own tail. Once based in Germany but now in Switzerland after a change in ownership, Chronoswiss got its start by adding complications to vintage movements. 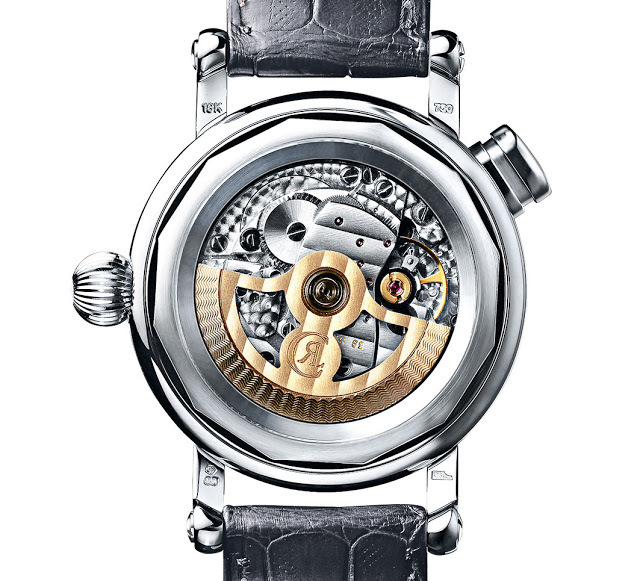 The calibre C.126 inside the Ouroboros is such an example, with the base calibre originally an Enicar automatic from the 1960s that Chronoswiss founder Gerd R. Lang acquired. It’s fitted with a Dubois-Depraz quarter repeating module that chimes the hours and quarters when activated by the button at 11 o’clock. As chiming watches go, the Chronoswiss quarter repeater is one of the most affordably priced, starting at about US$25,000 in steel. Like the dial the case is 18k white gold, with a diameter of 40mm and the screwed lug bars that are a Chronoswiss trademark. 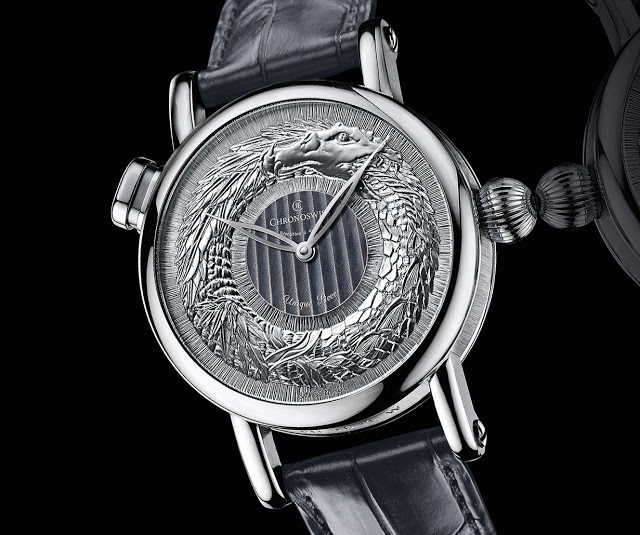 The Ouroboros will be sold on November 7, 2015, along with 42 other unique timepieces, to benefit a foundation that supports research into Duchenne muscular dystrophy.